“We apologize for our mistake,” unidentified sailor says. 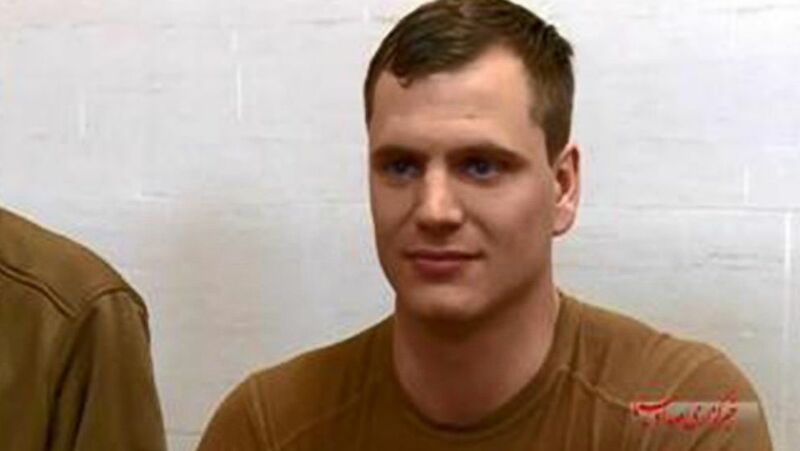 Iranian state television today released video of one of the American sailors detained Tuesday apologizing following an incursion by two U.S. Navy boats into Iranian waters -- a video that a U.S. military official said was "clearly" staged. “It was a mistake. That was our fault, and we apologize for our mistake,” the unidentified sailor says in the video, which was posted online hours after the sailors were released from Iranian detention. "It was a misunderstanding," he says. "We did not mean to go into Iranian territorial water." The sailor also added that the Iranians had behaved in a "fantastic" manner during the Americans' detention and he thanked them for their "hospitality" and "assistance." (IRIB) Iranian media released video of what it said was an American sailor speaking from detention following an incident in the Persian Gulf, Jan. 12, 2016. The U.S. military's Central Command said the video "appears to be authentic but we cannot speak for the conditions of the situation or what the crew was experiencing at the time." A CENTCOM official added, "Clearly this staged video exhibits a Sailor making an apology in an unknown context as an effort to defuse a tense situation and protect his crew." The two U.S. Navy vessels, with 10 American sailors between them, ended up in Iranian territorial waters Tuesday after one of the boats suffered a mechanical problem, according to the sailor in the video and initial comments from a U.S. military official -- though today another U.S. official from the Navy's nearby Fifth Fleet said the cause of the incident was still under investigation. The sailor in the video said he and his colleagues were detained after Iranian authorities approached them with "weapons drawn" as they drifted in the water. All 10 sailors were released unharmed today after being held overnight on an Iranian island. Top officials from both countries called the swift resolution to the incident a victory for diplomacy. (IRIB) Screen grabs from video broadcast by Iran's state broadcaster purport to show 10 American sailors being detained by Iranian authorities in the Persian Gulf, Jan. 12, 2016. The same Iranian state outlet that produced the sailor's interview had previously released footage that appeared to show when the sailors were detained aboard their Riverine boats. That video showed the sailors in camouflage pants and beige shirts kneeling with their backs to the camera. Their hands are clasped together on their heads. Some sailors appear to look around anxiously. Other images posted in Iranian media appear to show weapons confiscated by the Iranian officials, including assault rifles and light machine guns, along with belts of ammunition. Still another shows an Iranian official going through documents apparently on board one of the American boats. 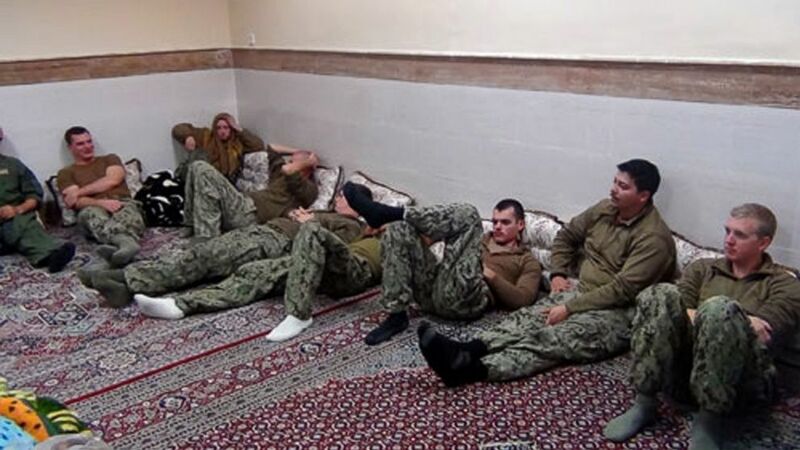 Iranian media had also published images of the American sailors looking much more relaxed while apparently in Iranian detention late Tuesday. Additional images released today showed the sailors as they ate in a group. 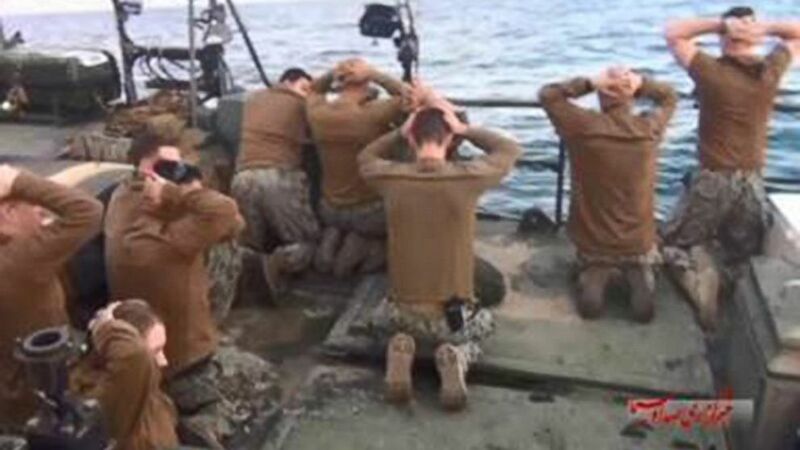 (Sepahnews/AP Photo) This picture released by the Iranian Revolutionary Guards, Jan. 13, 2016, shows detained American Navy sailors in an undisclosed location in Iran. Shortly before noon today the newly-freed sailors used their boats to head towards the U.S. Navy cruiser USS Anzio which was located in international waters just off Iranian territorial waters. The Iranian boats escorting the Riverine boats then turned back as they neared the American ship. The sailors were then brought to the aircraft carrier USS Harry S Truman for additional medical assessments. They have now been taken to a U.S. military base in the region where they will undergo a structured reintegration program for American military personnel that have undergone some form of detention, officials said. 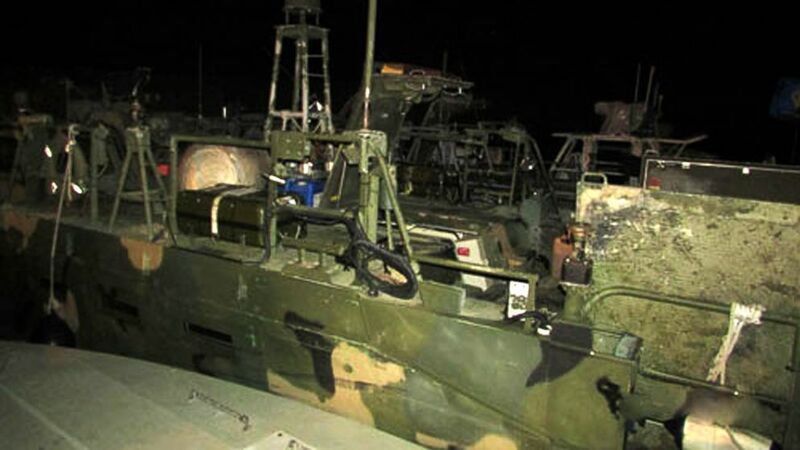 (Sepahnews/AP Photo) This picture released by the Iranian Revolutionary Guards, Jan. 13, 2016, shows American Navy boats in custody of the guards in an undisclosed location in Iran.